Founded in 1959, we are the longest-standing arts commission in the state of Ohio. We keep Toledo vibrant with innovative programs and by maintaining more than 80 works in the City's public art collection. The Ohio Arts Council reports that creative industries contribute more than $41.4 billion to Ohio's economy annually. 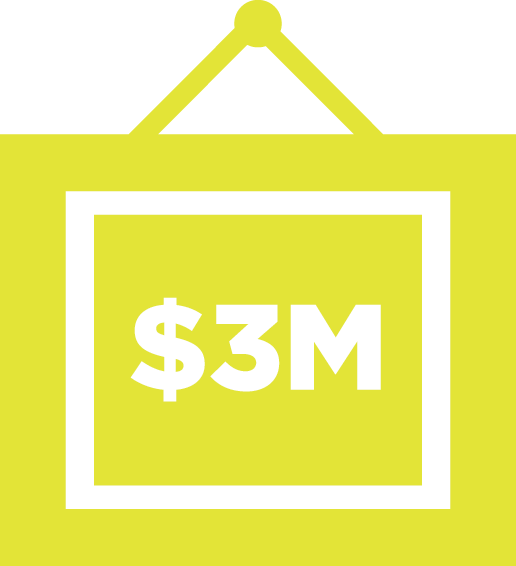 Arts-related, creative and cultural businesses currently produce an economic impact of $3.84 billion annually in Northwest Ohio, up from $2.4 Billion in 2007. There are 375 arts-related businesses, employing 2,973 people in Toledo. That’s more than Chrysler’s North Toledo Assembly Plant and Libbey, Inc. combined. Since 2009, The Arts Commission has partnered to secure more than $3,000,000 in arts investment in Toledo from national sources. "The arts are the personality of the community in which we live. The art may be developing student artists, encouraging art as a career, enhancing the community with sculpture or other art forms, or partnering with other organizations to create growth and enhance our image. Take a moment and imagine what our city would be without any of these things. Without public arts, whether visual, literary or performing, a city will not thrive, and people will not come there to live, be entertained, work or grow. The public art of our community is a direct reflection on what we value; it is our heartbeat." "The Arts Commission's public programming has enabled me to create financial and creative capital in a myriad of ways that keeps growing and growing; leading to the creation of bigger and better community art related projects, and more money in my pocket as well as money in the hands of the community." Learn about The Arts Commission's 50 year history. The Mix is The Arts Commission's signature spring fundraiser, featuring an exciting and exotic mix of live entertainment, art, food, and much more. Join us as we explore Downtown Toledo and celebrate our creative community. The Mix returns May 3, 2019. The Arts Commission thanks ProMedica for its understanding and support, embracing the idea that healthy communities include access to arts, entertainment, and culture. Through local art commissions and investing in programs like the Art Loop, ProMedica inspires a vibrant Toledo by making our daily lives more fun, creative, and interesting.